This guy is and has always been my inspiration. Whenever I feel totally shattered or broken- he brings me back to Life! Then I spent the rest of the evening on his website - http://attitudeisaltitude.com/ - I almost had tears in my eyes as I read more about him. What this guy is doing is beyond words! 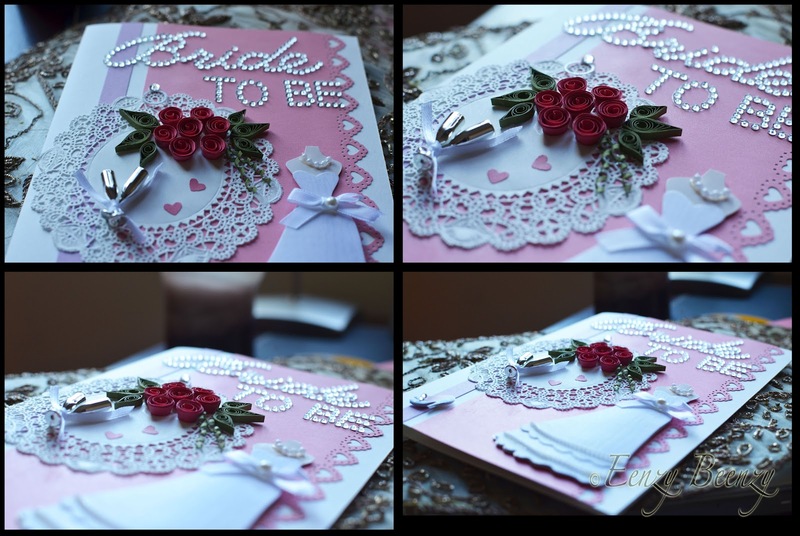 A pretty 'Bride-to-be' card I made recently for a very dear customer of mine. This is one of those cards I had troubles parting with! It's gorgeous..Love everything about it..
Lovely it is! I am following your blog since a while now. Love your neat work:) Your quilling is awesome!